Marinate with curd, ginger garlic paste and all the powders , salt for about 20 minutes. Meanwhile thinly slice the onions. Heat oil in a Kadai. Add the onions and fry till golden brown. Add the green chillies and marinated mutton and fry till the raw smell goes and oil separates . Add the palak and fry for some more time. Lastly, add water and Pressure cook on medium heat for about 15 – 20 mins. 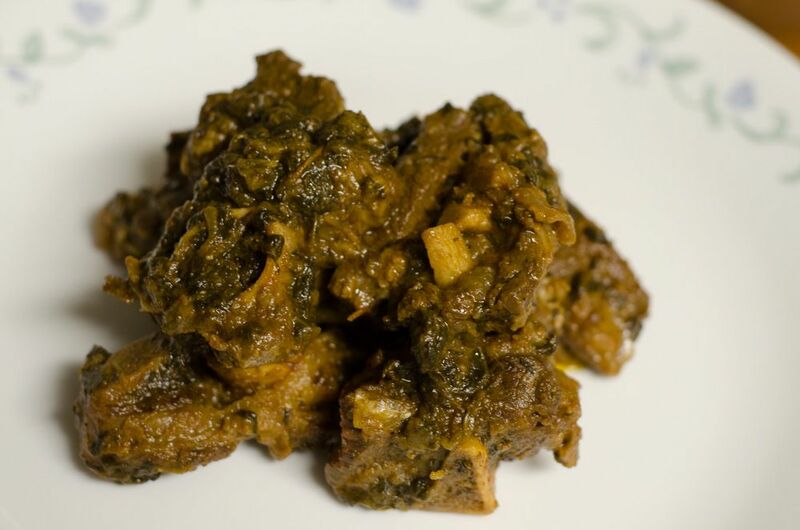 This entry was posted in Non-Vegetarian and tagged bhaji gosht, lamb, mutton, palak, spinach. Bookmark the permalink.